Moriarty was founded in 1887 and was named in honor of Michael Moriarty, an early settler who was also the community's first postmaster. The town rapidly became a business and social hub for the residents of the farms and ranches scattered throughout the Estancia Basin. Moriarty grew especially notable after the railroad arrived in 1903. When the famous Route 66 was routed through the area in 1937, it attracted even more attention to the town. Average high temperatures in Moriarty get up to 88 degrees Fahrenheit in July, and average lows drop to 14 degrees in January. The monthly precipitation average is 1.18 inches. Annual snowfall averages 11.2 inches. There are eight public schools in Moriarty that provide education to local students. Those seeking higher education can attend three different institutions within 30 miles of town - the University of New Mexico, the University of Phoenix - Albuquerque campus, and the Albuquerque Technical Vocational Institute. You can find medical care in the neighboring community of Edgewood, which is home to First Choice Community Healthcare as well as Edgewood Medical & Dental. Moriarty Municipal Airport services local aviators. Interested in hunting the region's wildlife? Antelope and quails live in the lowcountry. 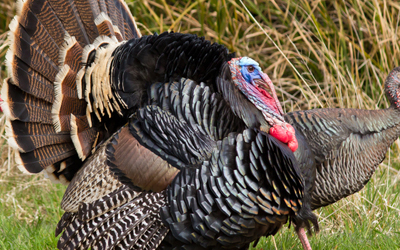 Mule deer, grouses and turkeys can be found at the higher elevations. Rabbits thrive throughout the area, and coyotes are also common. Moriarty is close to both cold and warm fishing waters. Bass, walleye and crappie make their homes in several lakes, whereas rainbow and brown trout can be found in both lakes and streams. The U.S. Southwest Soaring Museum is located adjacent to the Moriarty Municipal Airport. It is dedicated to preserving the history of sailplanes and gliders, attracting soaring enthusiasts from around the world. Each October, Moriarty holds the Pinto Bean Fiesta. This celebration includes games in Crossly Park, a parade and a pancake breakfast. Roughly 35 minutes southwest of town are the Manzano Mountains, which are in turn located within the Cibola National Forest. This is a wonderful place for horseback riding and hiking trails in addition to healthy populations of turkey and deer. It's about an hour from Moriarty to Santa Rosa, the City of Natural Lakes. Amid this area's red mesas, you can find 12 spring-fed lakes that range from the clear mineral springs at the Blue Hole (a famous destination for scuba diving) to the man-made Santa Rosa Lake. The Pecos River runs from Santa Rosa Lake and on through Santa Rosa. It's a 40-mile drive from Moriarty to Albuquerque, and you can also make a 54-mile drive from Moriarty to Santa Fe. The Estancia Basin is an ideal area for those who want to live a country lifestyle while working in or just enjoying the urban amenities and attractions of Albuquerque and Santa Fe. Are you ready to move to a delightful small town in an amazing natural setting? 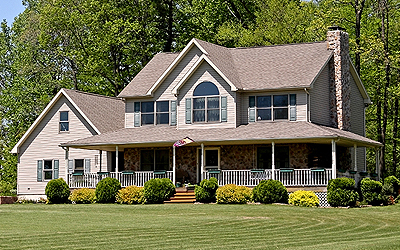 Do you dream of living near big cities while simultaneously enjoying the serenity of the country? Then contact us today to learn more about Moriarty and the surrounding region.